Okay - I admit it. I'm guilty of this (or at least I was). It almost cost me my life. What is it? The notion that I didn't need much sleep to be an effective leader. "I can handle it" I used to say. Literally, I was burning the candle at both ends. The result? A weakened heart and a hasty ambulance trip to the hospital. You might be saying about now, didn't he write about sleep last week? Yes, it's true. I did. That's how important this is. Think of it this way. Lack of sufficient sleep is a Villain. Be the Hero for your Health. Recently, one of my CEO clients admitted that she wasn't getting enough sleep. She's an amazing and caring leader driven to succeed and juggling family and work. To her, less sleep was justifiable. When I asked her about her sleep, she responded with something like, "it's okay, as we get older we don't need as much sleep". NOT TRUE. What is true is that we are all getting older, and as we age, the negative effects of not getting enough sleep will lead to health issues like Alzheimer's, heart disease, diabetes and much more. I help CEOs be at their best, and quite honestly with insufficient sleep, being at your best is nearly impossible. We can easily fool ourselves into believing we don't need more sleep. The research says otherwise. Rachel Cooke in an article for The Guardian, "The shorter you sleep, the shorter your life" recently interviewed Dr. Matthew Walker, a leading scientist and director of The Center for Human Sleep Science at Cal-Berkeley. He is currently Professor of Neuroscience and Psychology and Director of the Sleep and Neuroimaging Laboratory. The goal of the Center? To learn everything they can about sleep and it's effects. 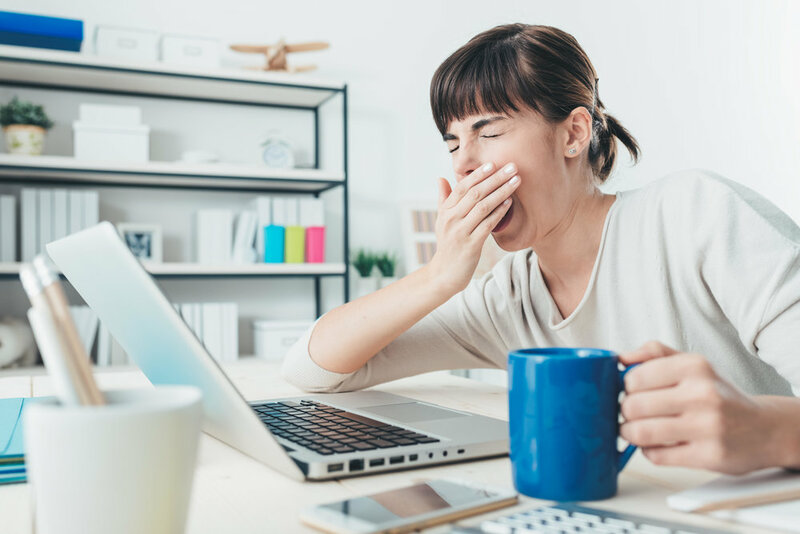 Walker believes, and I do too, that in our society sleep is strongly associated with weakness, laziness and even embarrassment to admit that we like to sleep eight or nine hours. Working with less sleep is viewed as a badge of honor. I remember a college professor telling me he operated on only four hours of sleep. He was good at what he did. I can't help but wonder how much richer and more effective his lectures, research and teaching could have been with seven hours of sleep instead of just four. From my research and experience, to be at our best, we need to be in a frame of mind that is open, creative and forward-thinking. When I am at my best, I am clear and focused, open to possibilities and solutions, my emotional IQ is higher, my intuitive strength is enhanced and my decision-making better. When we were younger, it was easy to work longer hours, even pull all-nighters. I did it. Just like athletes, when we are younger, our bodies and our brains can take the punishment and stress, and recover quickly. Less sleep means more stress. As we get older, however, the effects of repeated stress takes its toll. Okay. So you have an active mind and sleeping well is difficult. You have a lot of projects or initiatives critical to the success of your business and there are times when you just can't shut it off. Maybe you're a worrier. Maybe you're under stress, a lot or a little. I get it. According to Matthew Walker in his book, "Why We Sleep", anything less than seven hours of sleep is sleep deprivation. According to the Centers for Disease Control and Prevention, insufficient sleep is a public health epidemic. Walker's work and that of others, have identified strong links to Alzheimer's disease, heart attack, cancer and others. Take Alzheimer's for example. According to the Alzheimer's Association there are protein deposits that build up between the spaces of nerve cells causing plaque in the brain, which leads to deterioration of neural connections, a leading cause of dementia, including Alzheimer's disease. Our bodies have an amazing ability to heal, and while we sleep, our brain in effect washes itself to rid the harmful proteins through the 'glymphatic system' and glial cells in the brain. Led by Maiken Nedergaard, M.D. co-director of the Center for Translational Neuromedicine at the University of Rochester Medical Center, a team of research colleagues found that cerebrospinal fluid flows through the spaces between neurons, flushing proteins and other neural waste away through the circulatory system. In effect, our brains regularly 'take out the trash' and this system is ten-times more active when we sleep. We live busy lives. Our brains are constantly at work. Just like your body needs rest, so too does your brain. Sufficient sleep of at least seven hours is good for your health. And I firmly believe from my own experience and research, that feeling and being healthy in mind, body and spirit is vital to living and being at your best. Let me know what you think. Send me a note or leave a comment. I would love to hear from you. John J. Fenton, CEO, MBA is an executive leadership coach, professional speaker, author of an upcoming book and expert in self-mastery. He is available for a free 30-minute consultation. Let's begin a conversation.